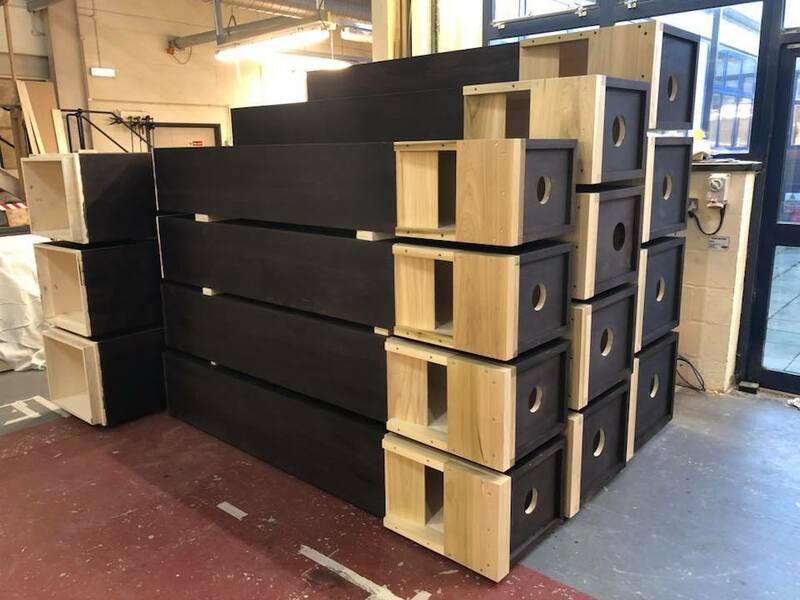 This project will not only restore the Cathedral organ but also bring back some of the quality and beauty of the original Henry Willis instrument. Surveys have shown that the main organ, housed in the Quire at the East end of the Cathedral, is in a poor condition and in urgent need of restoration. Air-tight seals are failing and some notes unplayable to such an extent that this once fine ‘Father’ Willis organ is now a shadow of its former self. 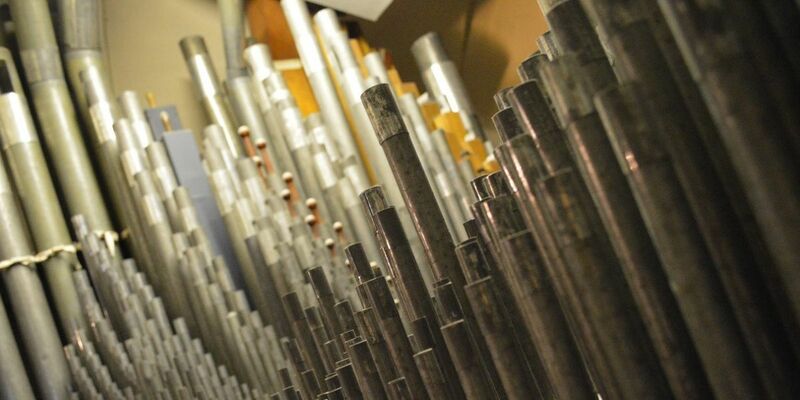 Working with celebrated organ builders Harrison & Harrison Ltd, we will be restoring and enhancing the instrument so that it can once again support the music which is at the very heart of life and worship in the Cathedral. Why are these works needed? The current organ was last restored in the 1970s. Attempts were made to simplify the outdated electro-pneumatic mechanisms and complex configuration. 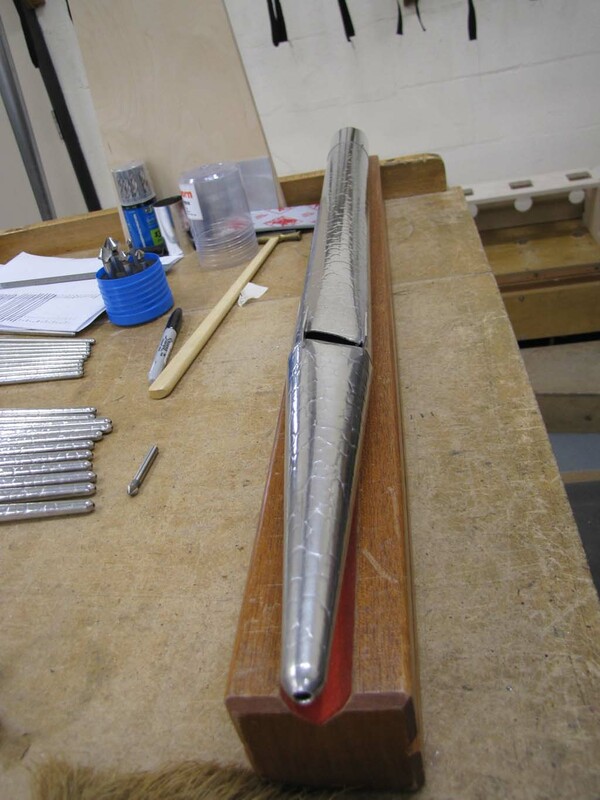 As such, the instrument was greatly reduced in size to try and free up space between the overcrowded pipes. This included the largest, 32ft pipes as well as solo voices which added ‘orchestral’ colour including Oboe, Horn and Flutes. A separate Nave organ was introduced, recognising the impossible task for one organ to provide music to the entire Cathedral. This was confirmed by a detailed acoustic audits in 2009 and 2015. Since its last restoration, and despite a series of patch repairs, our main organ has now reached the end of its performing life. The Cathedral’s most recent Quinquennial Inspection (a survey of its condition required every five years) in 2017 also identified that large areas of the Quire were are in urgent need of repair. 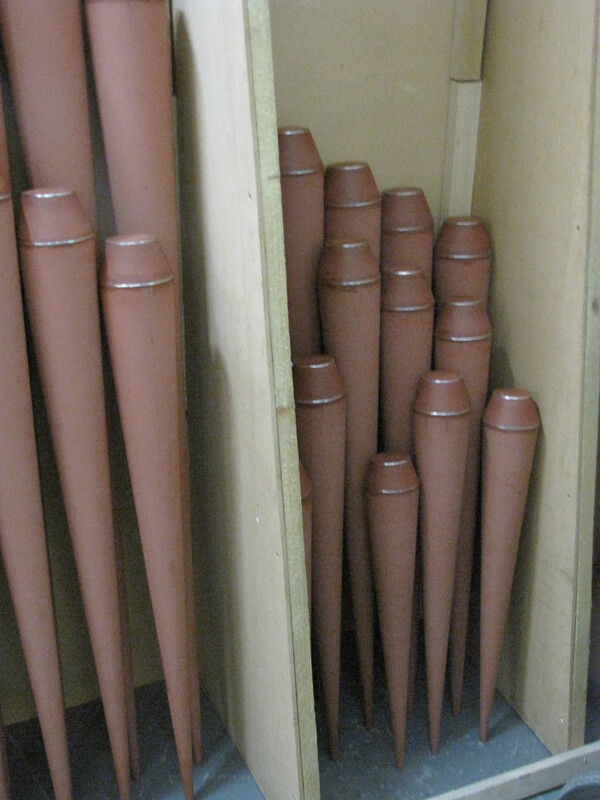 The access afforded by the removal of the organ’s pipework present an unmissable chance to make these repairs before the new organ is installed. Canterbury Cathedral is unusual as its organ pipework is hidden in the roof space. 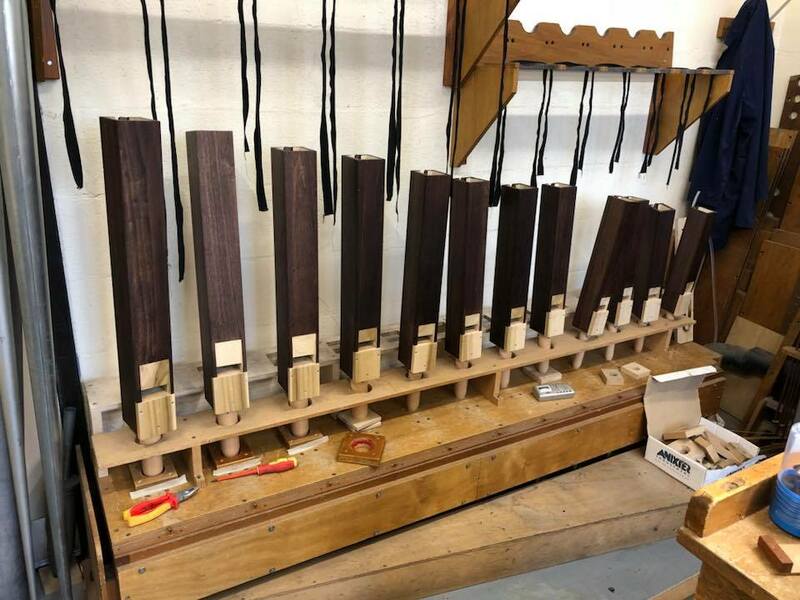 New longer pipes are being made and existing pipes repaired and re-distributed, effectively doubling the size of today’s organ and enabling a richer, more sensitive and balanced sound. 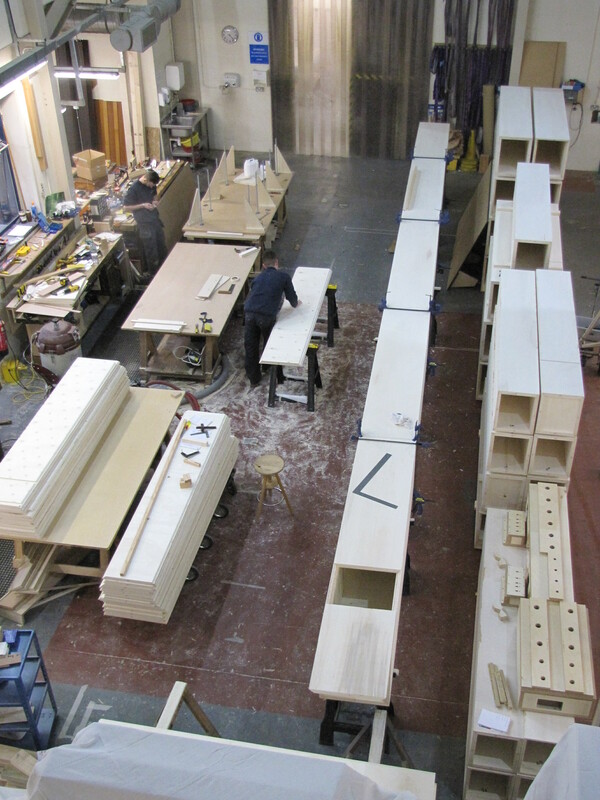 Click on the image on the right to see further images of the new organ being built by Harrison and Harrison. The organ console (keys, stops and pedals) is being moved from above the Pulpitum Screen, between the Quire and the Nave, to a new organ loft in the North Quire Aisle. This position is closer to the new pipework and the choir. In addition, the sight lines between the organist and conductor will be greatly improved. Work on the organ also provides the opportunity to gain access to one of the oldest parts of the Cathedral, which are now in urgent need of repair due to damage by rain water and corrosion. The 12th Century Quire is home to some of the Cathedral’s most precious fabric, including extensive historic timberwork, William of Sens’ flying buttresses and precious 12th Century stained glass. 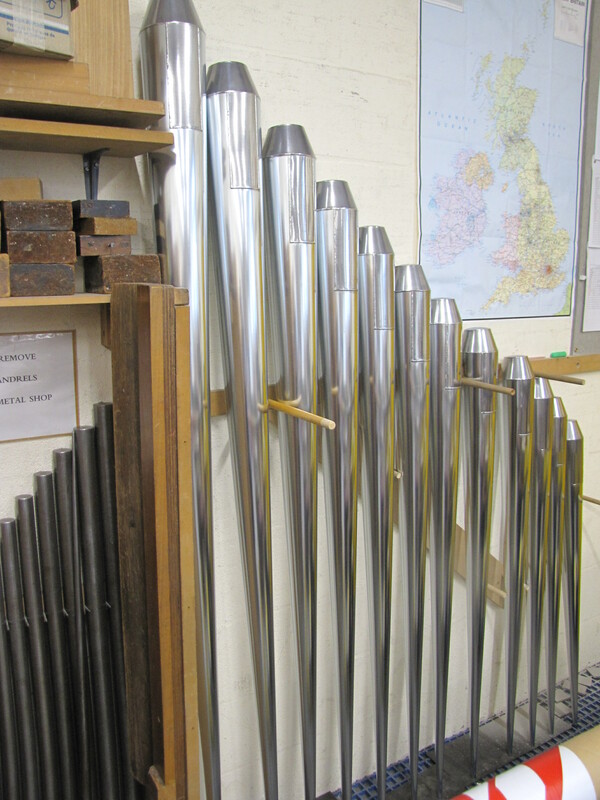 As well as this work being necessary, it is important that it is done prior to the installation of the new organ pipework. 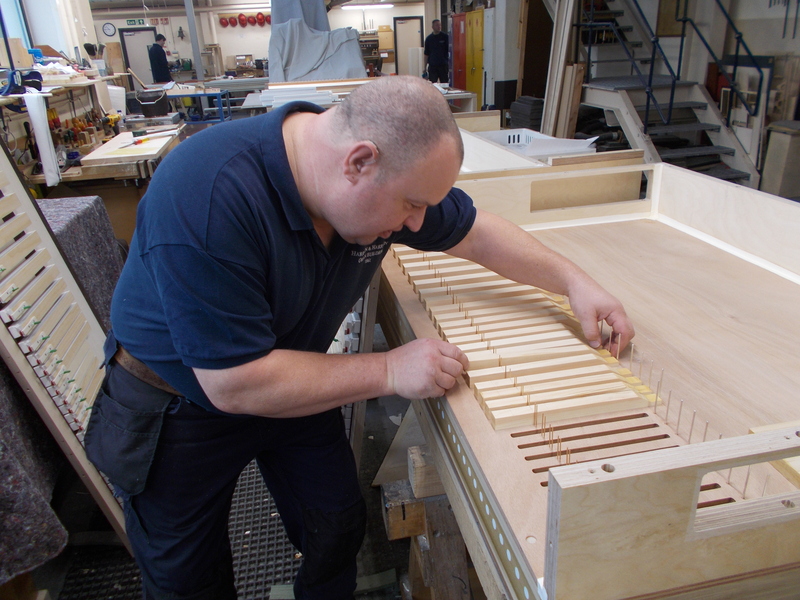 By carrying out the organ’s restoration and urgent fabric repairs in tandem, we can ensure the finished instrument is returned to a secure environment. It will also reduce the total duration and cost of these collected efforts and give us the opportunity to provide better access for future maintenance by our dedicated craftsmen and women. Visitors can now find out more about the works and make a contactless donation to support them directly through the project’s dedicated hoardings installed in the Cathedral. The project will be made possible with the generous support of many, through The Canterbury Voice. This campaign will ensure the future of music at Canterbury Cathedral, beginning with the urgent needs of the failing organ. You can make a dedicated gift to The Canterbury Voice online, or contact a member of the Trust team if you would like to discuss your gift. The diagram below illustrates the key changes planned for the main organ. Select the links below for further details. Please check this page regularly for updates as the project is carried out.